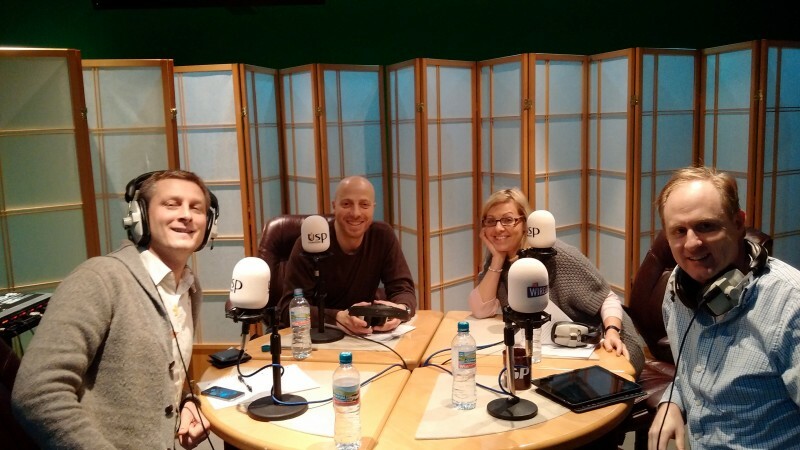 Russell Goldsmith was joined by Andrew Grill, Global Partner for Social Business at IBM’s Global Business Services [at the time of recording], Ben Smith, Founder of PRmoment.com and Emma Hazan, Deputy Managing Director of Hotwire PR. Andrew defines a Social Business as ‘an organisation whose culture and systems encourage networks and people to drive business value’. 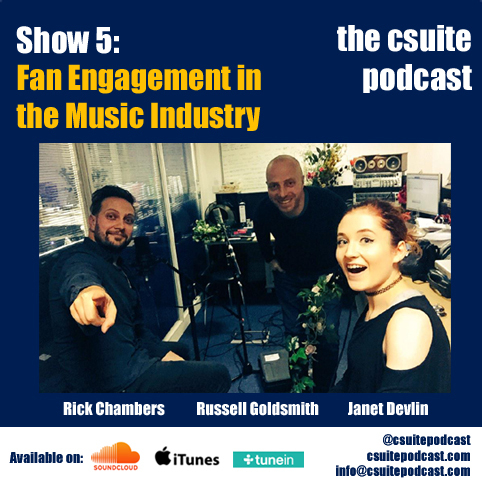 He made the point that there is no mention in that definition of fans, followers, likes or influencers and that when he uses that language with the csuite, they ‘get it’. Ben added that integration of social into the business is absolutely critical. He highlighted a number of social campaigns, including ‘nomakeupselfie’ and work by brands such as KLM, that have had a positive impact on business, both potentially from a reputation and brand perspective and sales perspective. He said the key is simple in that Social has to have a business impact and we’ve seen huge progress of that over the last 12-24 months. The challenge, however, according to Ben, is in how that integration happens on a day to day level within large businesses. Emma then discussed the kind of questions her csuite clients’ pose, which are about the value that social media will bring them and how they can measure it. She explained that there is an education required in terms of how to use the channels to communicate. Emma said that having learned how to reach people with a message in 140 characters or less that it’s all going to change again. We will have to teach the csuite about an even smaller screen and smaller space to communicate with when it comes to the Smartwatch, for example, but it’s about having seamless content. The csuite are also interested in the risks are about using social media but often ask about what to tweet. She feels is ironic given most of the csuite she works with are born communicators, motivating and empowering people in the organisation and talking to customers every day. She believes they are perfectly lined up to be on twitter but perhaps just need some support parameters from someone like herself, or their marketing or digital departments. Emma’s mention of the Smartwatch sparked a discussion about the relevance of content from brands that appear in our various social media feeds. However, Andrew said that despite having posted over 32,000 tweets in the eight years he has been on twitter, he is yet to find a brand that’s used that valuable content and pitched a [relevant] message to him. The discussion then moved on to the topics of Social Serendipity, Social Eminence and Social Collaboration. Andrew firstly gave an example of Social Serendipity in how one tweet that he sent in January 2011 created a chain of events that resulted in him being offered his current job at IBM. He explained that it’s all linked to Social Eminence, which is about being visible, relevant and seen as someone who knows what they are talking about, which, of course, if you do, then people will recommend you or want to get in touch. Ben added that Digital & Social has given PR a big opportunity to demonstrate its ROI because Social creates a digital footprint. This becomes trackable and undoubtable social eminence ties into that and you can then track your impact on whatever objective you are trying to hit. He says the key is that PR people should be good at two way conversations and driving engaging content and so the PR industry should have a significant impact in this area. Andrew summed Social Collaboration as predicting that in the future, your value to an organisation won’t be what you know, it will be what you share, but it’s a massive cultural change to do that across a whole organisation. He gave an example of how one of IBM’s clients, Tesco, who in the UK have about 320,000 colleagues, share ideas across stores via their internal social collaboration network. He also stressed that if people are collaborating openly on an internal social network, then just as the likes of Brandwatch measure the external social, if you measured the same things internally, then you will see the ideas, trends and issues pop up. An HR Director could then have access to a live dashboard to see where there may be problems in their company and that, according to Andrew, is the real power of Social Business. 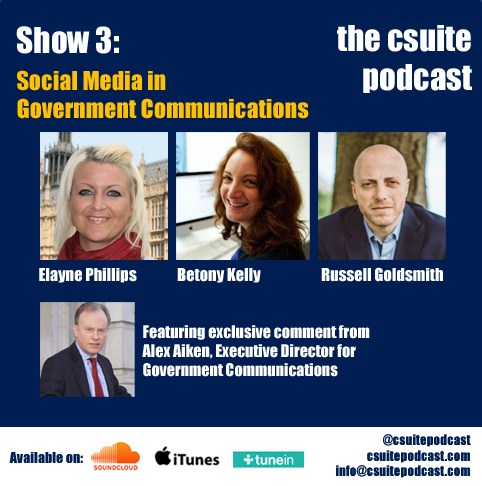 The interview finished with each of the guests giving an example of a classic mistake they felt companies make with social media in general and naming an organisation that they thought already acted as a Social Business.